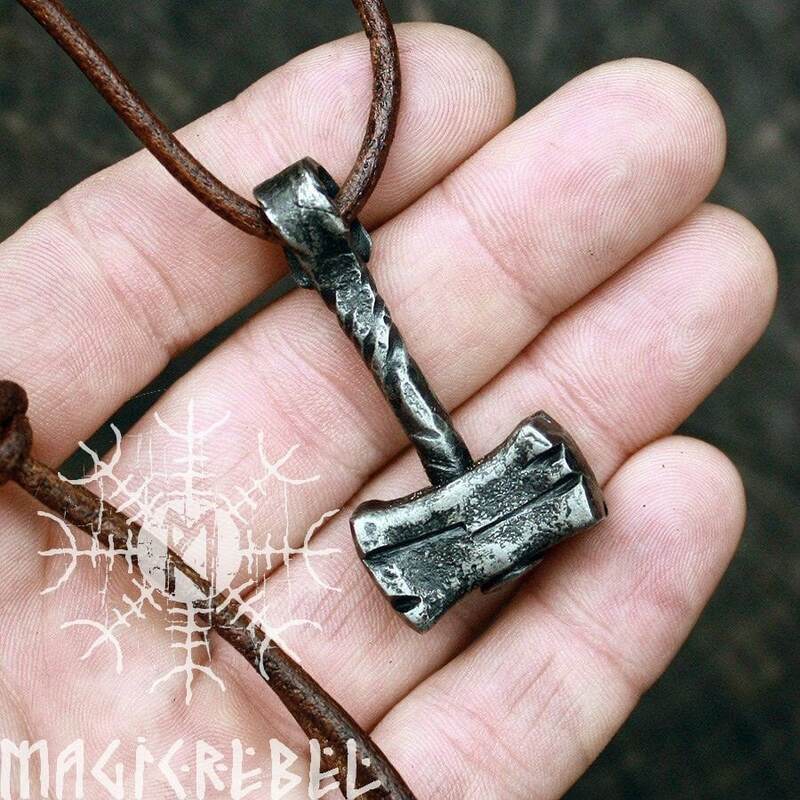 This is a forged iron handmade Viking style pendant. 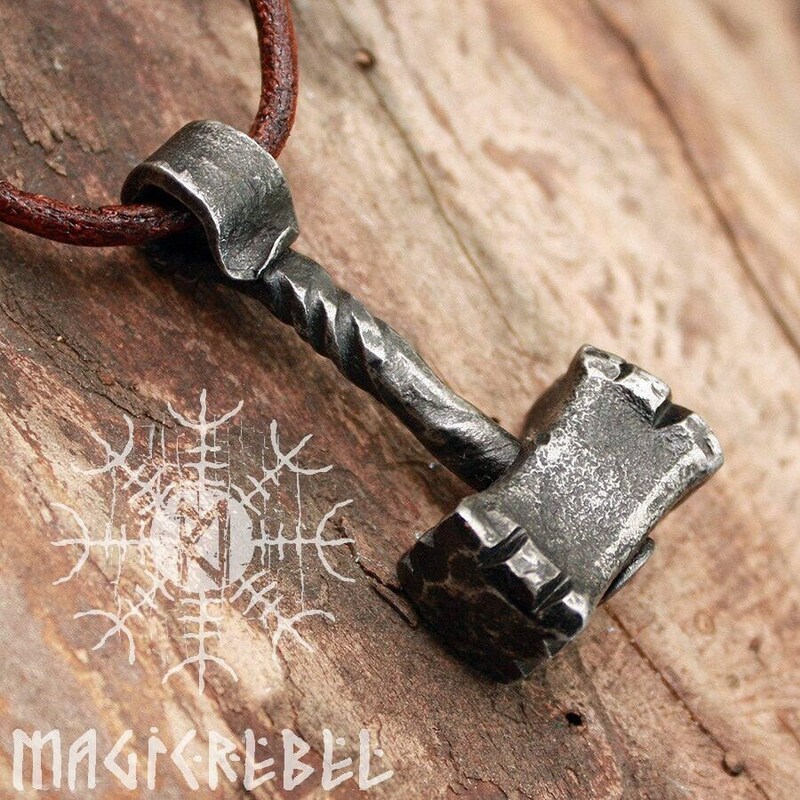 The pendant is a mini replica of an ancient Nordic hunting hammer tool. Heavy and solid looking. Style is unisex, looks good on both men and women. 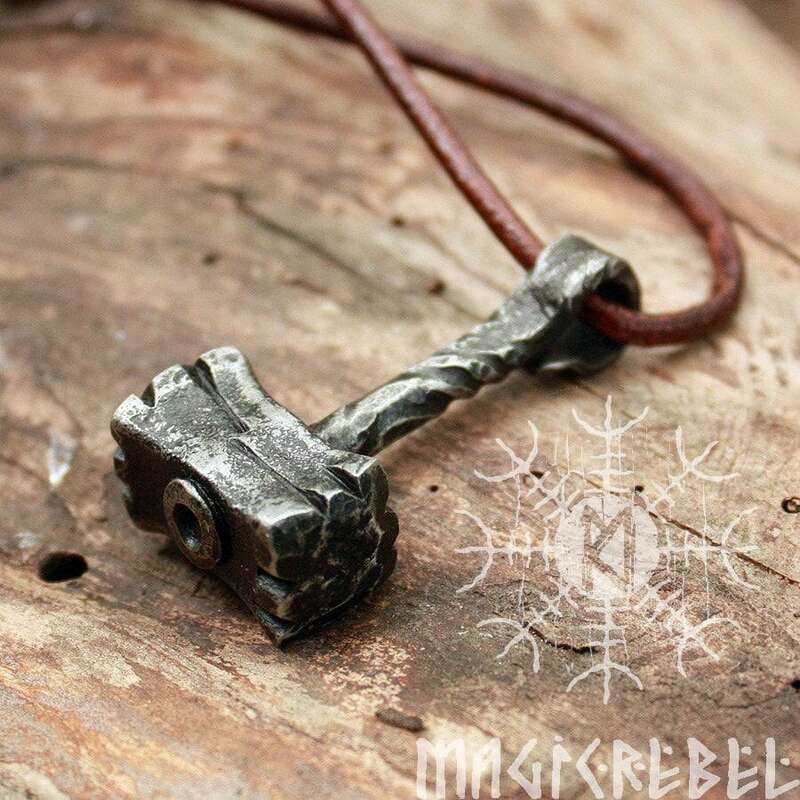 Hammer length is about 1.75" inches or 45 mm. 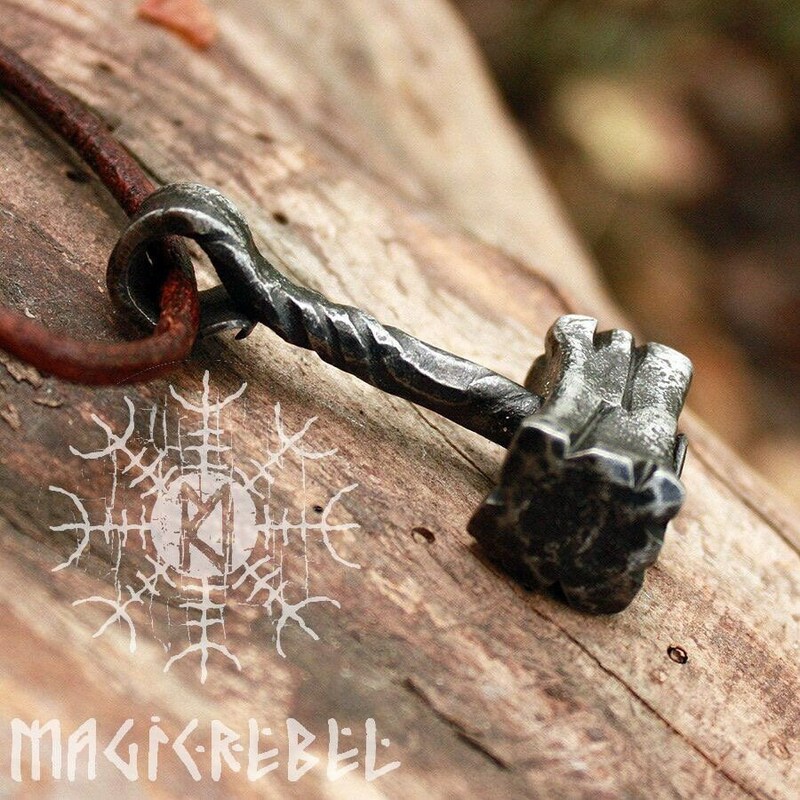 Pendant is coated by a water resistant finish to protect from rusting and comes on a thick adjustable brown pressed genuine leather necklace cord. PLEASE NOTE: This is a handmade item and each one looks slightly different. Some details such as the shape, size and texture may not look exactly the same as pictured.